The Southwest Pashayi, also called the Tagau, Pashai, and Pasyayi, are of the Kashmiri people cluster. They live in Afghanistan, mostly in the valleys of the Hindu Kush in northeastern Afghanistan. They tend to live in valleys located near major river systems. 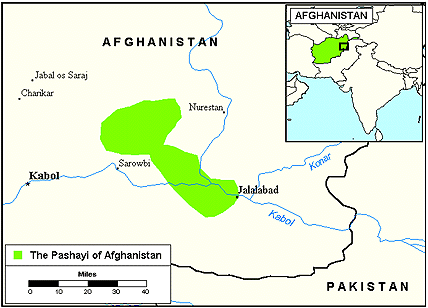 The Southwest Pashayi mostly live the Tagau Valley, north of Sarobi, northeast of Kabul. Very few people actually refer to themselves as Pashayi, rather they call themselves Safi, Kohistanis, or Nuristanis. Pashayi, a Dardic language, is their primary language and has many dialects. The Southwestern Pashayi speak the Southwest dialect of Pashayi, which is unintelligible to other Pashayi speakers. The literacy rate for their first language is less than one percent and the literacy rate for their second language is between five and fifteen percent. It is believed that the Pashayi once inhabited the northeastern plains of Afghanistan, but were forced to move to the mountains as the Pashtun invaded their areas. The Pashayi are mostly rice farmers, for those living at lower elevations, and wheat and maize farmers and herders, for those living at the higher elevations. Pashayi are tribal people. They are often lead by a village council which is the authority on issues affecting the entire village. The council is composed of extended family members from each family unit. Personal disputes are left to be resolved by the individual who was hurt in some way, which often leads to feuds. The Pashayi value masculinity and honor more than anything else. The idea of an ideal man among the Pashayi is a man who is a proud warrior, one who is loyal to his family, one who is dangerous to his enemies, and a man who is always prepared for a feud if necessary. The Pashayi culture has a rich tradition of songs and folklore which is passed down by oral tradition. Songs are often sung about their culture and traditionally, around harvest time, the young people in the village travel to other villages to sing the songs they'd composed throughout the year. Most Pashayi men carries a knife or a gun. The Pashayi converted to Islam in the late sixteenth century. They are Sunni Muslims of the Hanafite sect. 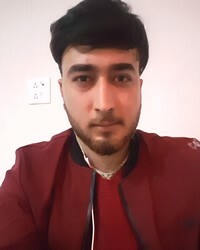 Many Pashayi have some folk Islamic practices, and it is not uncommon for Pashayi men to leave their communities to study under Pakistani or Afghani holy men. Shrines dedicated to saints are found throughout their areas. An extremely small percentage of the population claims to be Christian adherents. Although the physical needs of the Pashayi are staggering, they pale in comparison to their spiritual needs. There are no known Christians among the Pashayi or the Southwestern Pashayi. Few Christian resources are available in their languages, and no Christian missions agencies are permitted to enter Afghanistan, except as relief workers. * Ask the Lord to save key Pashayi leaders who will boldly declare the Gospel to their own people. * Pray that evangelistic literature will soon be made available to the Pashayi. * Ask God to send medical teams and humanitarian aid workers to minister to the physical needs of the Pashayi. * Pray that the laws in Afghanistan which restrict the preaching of the Gospel will soon be changed. * Pray that strong local churches will be planted among the Pashayi. * Pray for the availability of the Jesus Film in the primary language of this people.View Pashayi, Southwest in all countries. 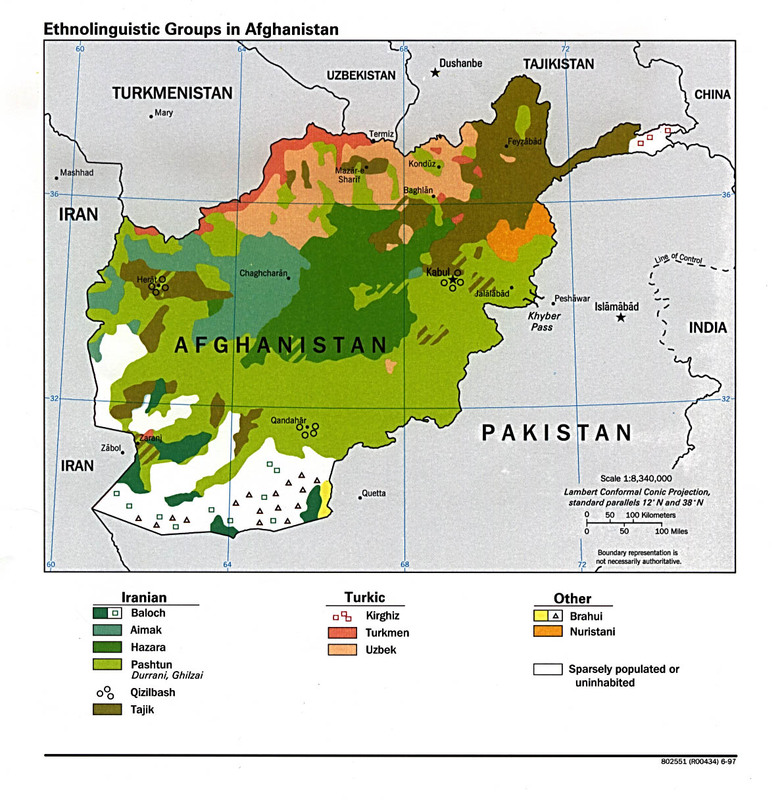 Location in Country: Northeast of Kabul, and in Kapisa province; north of Sarobi, Tagau (Tagab) valley.